Nelly says, Don't leave Athens without seeing the New Acropolis Museum. 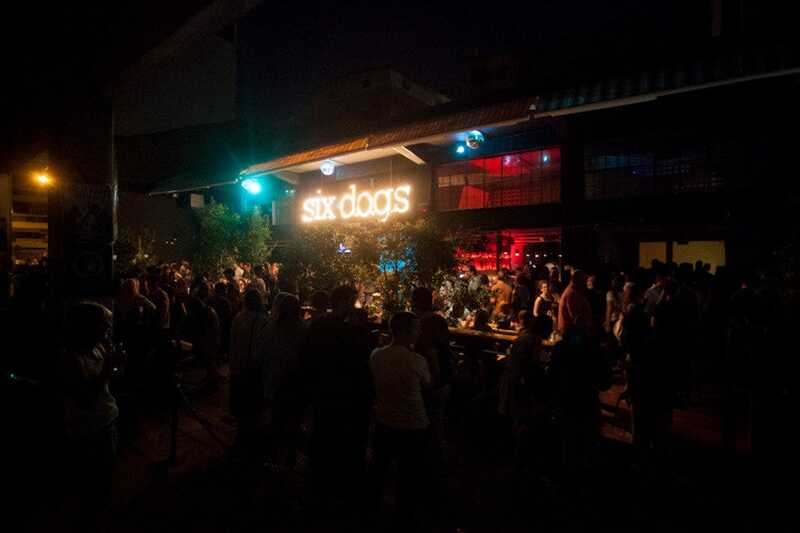 From the celebrated, glamorous Island, to the high class favorite dining and dancing Akrotiri DC on the coast, or the popular underground techno Six Dogs in downtown Monastiraki, Athens offers a wide selection of nightlife, satisfying all preferences and tastes. Jazz by well known international musicians at all time classic Half Note in the neighborhood of Mets, gigs and karaoke at Kitty Cat, imaginative cocktails and a fantastic view at central Three Sixty, an amazing terrace at Bios, live events at Rock n Roll in Kolonaki, Nu disco and Electric House at Pixi, with impressive audiovisual effects, art and entertainment at urban style Fouar, it’s hard to choose. Most clubs have their own faithful clientele, which depends on age, musical preferences and an exclusive fashion trend code which attracts certain social styles. Dress code can be important at the more posh places, whilst others are more casual. Drinks are an important feature of all clubs and some include a restaurant. In summer nights are even longer and the clubs on the beach become even more attractive places to cool off. 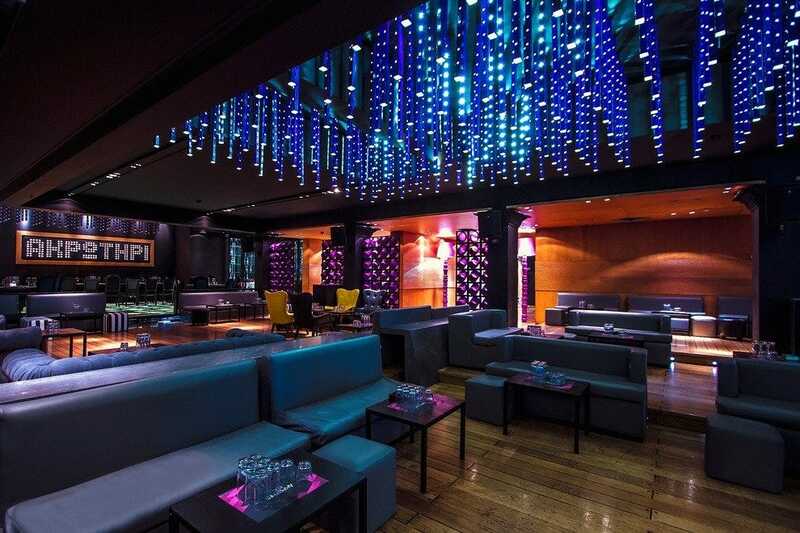 The lively atmosphere and the musical selections create the ideal atmosphere for great entertainment. Kitty Cat in an arcade on central Stadiou street in the center of Athens is an intelligent combination of American and Asian elements. 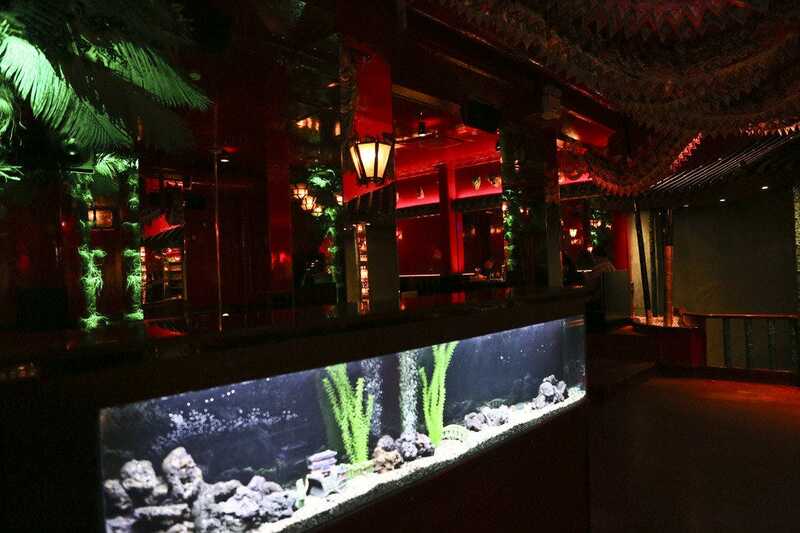 Situated in the location of an ex Asian restaurant, whose decor was left almost untouched, it has a unique and attractive atmosphere. 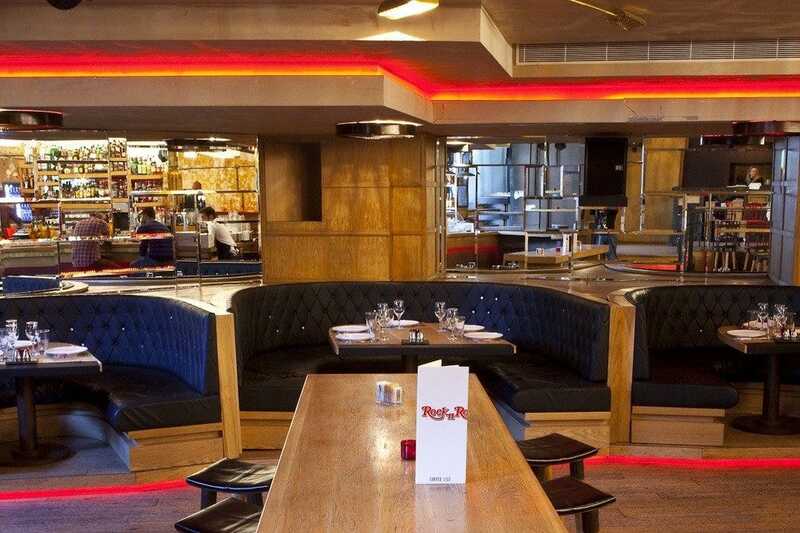 Dark red lacquered surfaces, studied lighting, a comfortable bar are focal points. An American menu in an Asian environment, with luxury fast food inspired from food trucks and specialties such as burgers, Peruvian, Italian, Indian and Vietnamese dishes, which contrast and blend together. Gigs are often held, with live music and artists from all over the world, and the karaoke is a great success. You can enjoy the entertainment, whilst eating and drinking. Later in the evening the first clubbers arrive and the atmosphere becomes even more lively and vibrant. The excellent house cocktails include classics and also variations with Asian inspiration. A high end , eclectic public makes this locale particularly sought after and popular. 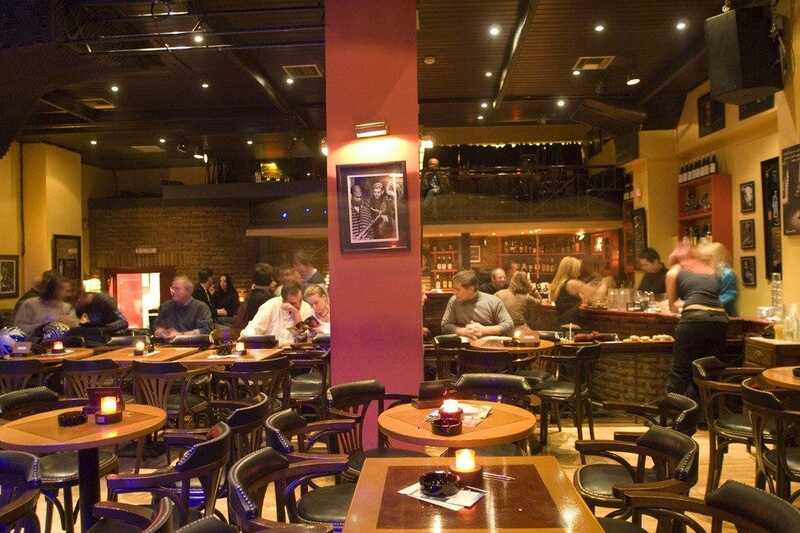 Half Note Jazz Club is an all time classic in Athens, with a successful history which goes back to 1979. 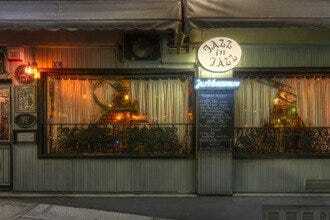 Well known international and Greek musicians from the jazz scene have played here over the years. The seasonal program includes about 250 shows from October to end May, covering a wide range of music, from jazz and blues to latin, soul and funk. Dexter Gordon, Monty Alexander, Arthur Blythe, Steve Lacy amongst other have played here. The warm, friendly locale, decorated with stone and wood, the positive atmosphere and the quality of the artists have made Half Note a reference point for the public. 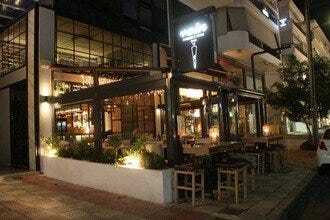 Rock n Roll is an old favorite with Athenians who prefer timeless class and naturally rock n roll music. Popular with all ages, the club operates as an all day bar-restaurant, offering great pizza made by the Neapolitan chef, juicy burgers, pasta and salads. Coffee and rock-tails are prepared by expert bar tenders. Parties with guest DJs, live events with rock groups, some mainstream music, make this place ideal for laid back entertainment. 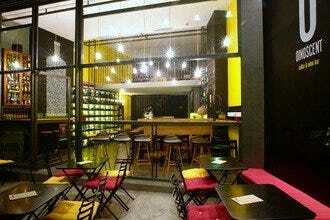 The decor is inventive and interesting, with two large bars, stylish industrial notes and understated luxury in details. 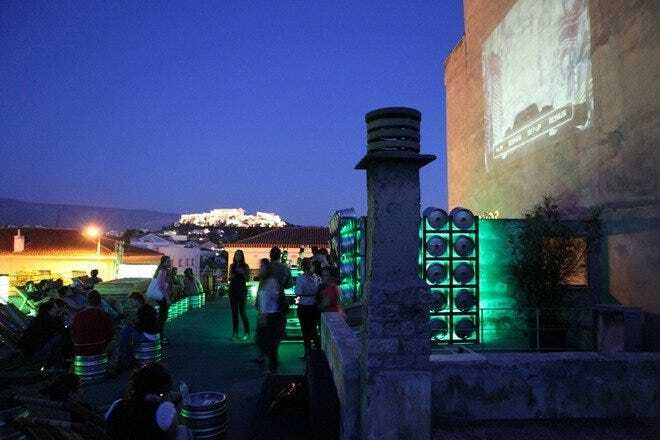 Pixi is situated in a high end fully renovated industrial space in the center of Athens, in the lively nightlife district of Gazi, filled with music, pixels and electricity. 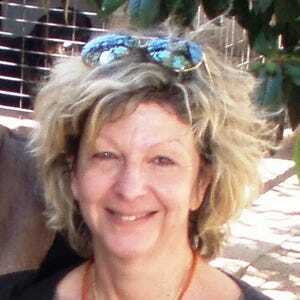 Fans admit that the vibe is remarkable and this makes Pixi especially popular. The unique audio-visual experience, with 3D projections, the energy, the musical selections are some of the secrets of their success in just over a year. 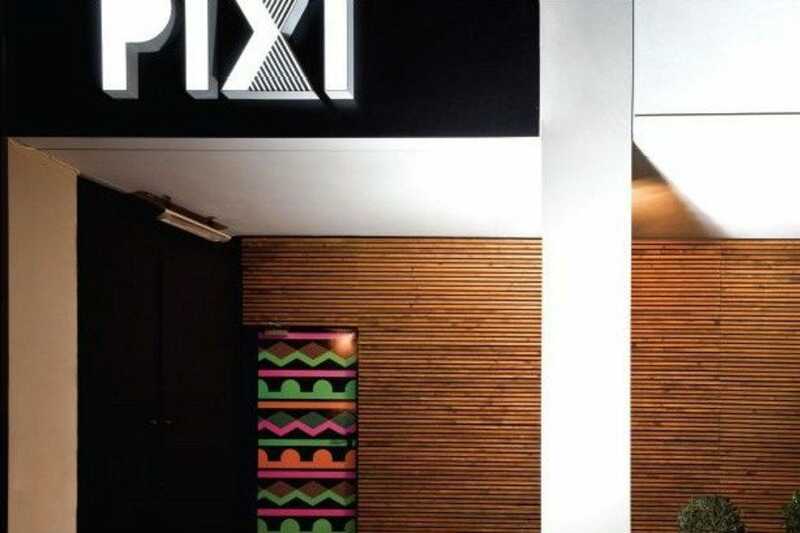 The team at Pixi aim to offer guests a different sound experience in town, approaching entertainment mainly with Nu-disco and Electric House. Combining the lively public with the talented up coming djs and artists from Greece and abroad, nightlife really takes off. Fouar, inspired by the French for art fair, is situated in an atmospheric urban space on the first floor of a 1930s industrial building in the center of Athens, very close to Mitropoleos square. Special attention has been given to the decor, with terracotta tiles, trees in large flowerpots, a big skylight on the ceiling, which can be opened, create the idea of an indoor garden or patio. 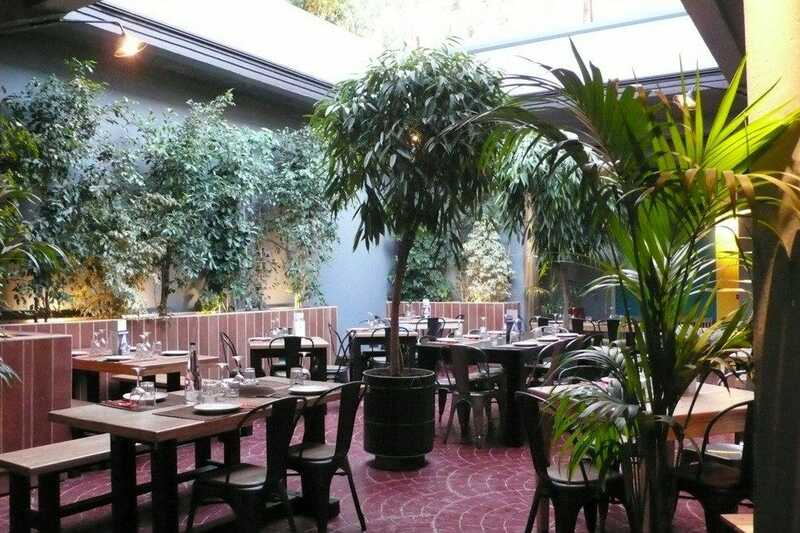 A quiet oasis in the midst of a busy city, Fouar operates as a restaurant with mainly Asian specialties, curries, noodles, tapas, and also as a bar. Summer cocktails include tiki specials, and you can also taste fifty wine labels. A separate space is designed as an art gallery, to host art and photography exhibitions or artistic bazaars, which will be often renewed. 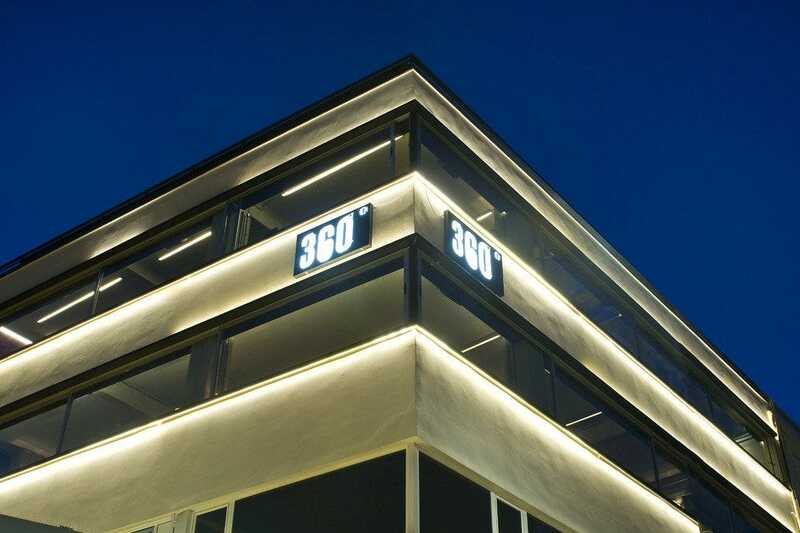 The new industrial space right next to Monastiraki square is named 360 Degrees and has a breathtaking view of the Acropolis. On the second floor Greek creative cuisine is served, prepared exclusively with local ingredients and on the third floor you can enjoy sixty different cocktails. 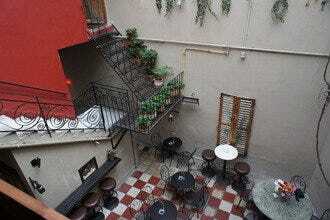 The view from the terrace on the top floor is panoramic and covers the whole of Athens. This locale attracts a mixed, mainly young, but not only crowd, from socialites to cool teenagers, and well known mixologists from abroad are hosted, alternating with live jazz groups in the restaurant. The barteam has created fifteen imaginative cocktail recipes and were awarded as New bar of the year for 2012 at the Athens bar show. The names of dishes on the menu are all inspired by construction materials and include spinning top as a starter, networking salad and brushed cogwheel as a main dish. Definitely surprising. 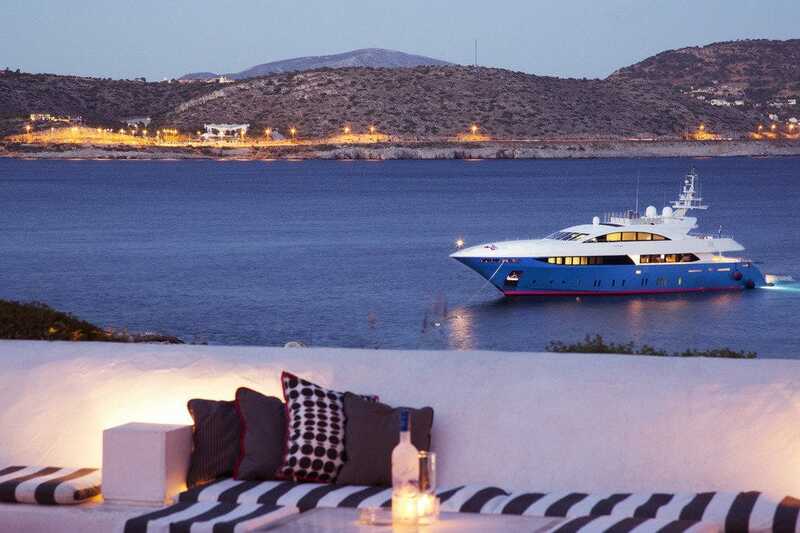 Akrotiri DC Lounge is an all time favorite from April to October. 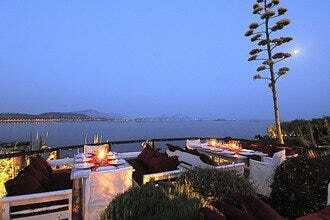 Situated on the coast of Agios Kosmas, Akrotiri restaurant offers Mediterranean cuisine and attracts a fashionable crowd. The club is decorated in black and white, with fluorescent notes and the resident djs ensure entertainment until the small hours with r& b music. Mood parties are organized on specific days: Wedenesday – Showtime rnb vibes, Thursday – mainstream vibes by the resident djs, Friday – Can't get enough mainstream vibes, Saturday and Sunday – the real live clubbing with Niko Vertis. Island is a superb location on the coastal road to Varkiza, designed to relax and enjoy and has been mentioned in many international publications, amongst which Newsweek. Jetsetters and visiting celebrities always include it on their schedule. Vintage furniture co-exist with design and the temperature under the pergolas is regulated according to the weather. International cuisine with a great sushi bar offer high quality dining, complemented by selected wines. 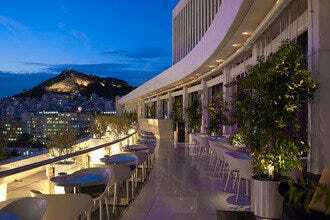 The cocktail bar and the tapas bar offer a magnificent view and the musical selections set the mood for every summer. Thursday parties are a favorite every year and Island;s cds are collector's items. Twenty years of continuous success have earned this club the title of one of the best in the world.